Purify and cool you oil! 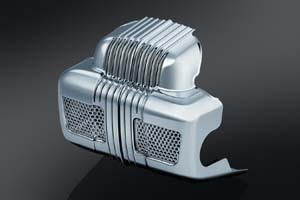 MA-98:The Mesh Airdam gives the lower frame and dull factory oil cooler a completely custom look. 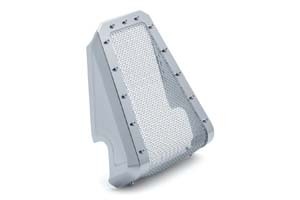 Made from lightweight, durable ABS combined with steel screen and mounting brackets. 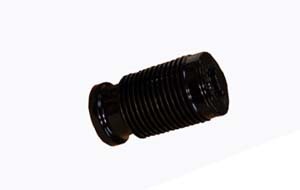 This direct bolt-on cover is easy to install or remove for cleaning. 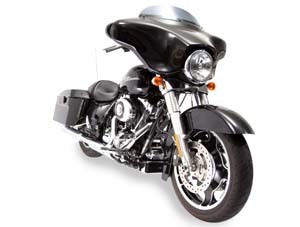 Fits: Harley '09-'16 Electra Glides, Road Glides, Road Kings & Street Glides. MA-99: Similar to above but in satin black. Easily prepped for custom paint. 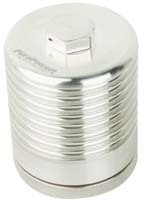 7677: Replace the bland factory Coolant Pump Cover with a sleek chrome cover. 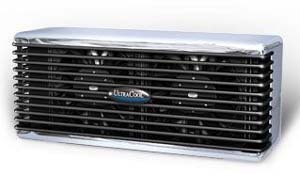 Direct replacement for the factory cover and hides the unsightly voltage regulator for the finishing touch. 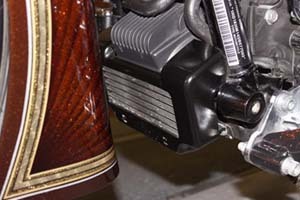 Fits Stock Coolant Pump on '14-'15 Twin Cooled Electra Glide Ultra Limited, CVO Touring Models & Tri Glides. Does not fit oil cooled models. TI-713: Oil Cooler Relocation Bracket allows you to easily move your stock oil cooler and cover back and closer to the frame. 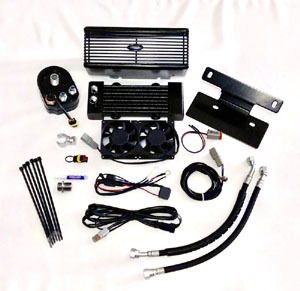 For use with long, low front fender applications where extra clearance is needed. Perfect solution for bikes with 23” wheel and raked trees only. Made from stainless steel, making it easy to polish, powder coat, paint, or leave raw without worry of rusting. For 2009+ FLHT, FLHTC, FLHX and HD Trike. 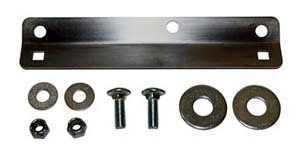 Bracket is stainless steel and includes all necessary hardware. Complete instructions and trim template included. 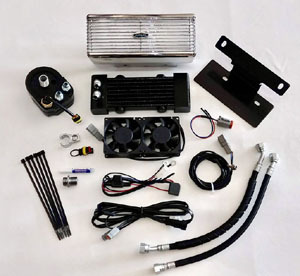 Trimming of plastic oil cooler cover is required. Customer: Worth Every Penny and GREAT! I just traveled from Louisiana to Arkansas. I installed the refer you sent me and it worked GREAT. The temperature in Arkansas was around 105 degrees. The bike rally had a parade while I was there. My 09 road king did not overheat once. It ran around 230 degrees.There were other 09 bikes there and they were shutting of their bike to keep them cool. I asked some riders if I could get the temperature of their oil and it varied from around 270-280. No problem with the Ultra Cool Refer. 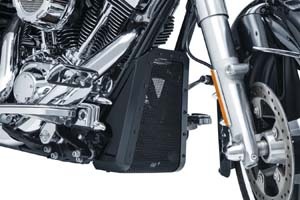 I recommend this cooler to everyone that shut their bikes off, so you should be getting some calls. Not only is this a great cooler the service I received from your support staff was incredible. They took there time and answered every question I had with a smile. I can\'t say enough about this cooler other than it is worth every penny and GREAT. Customer: I just finished ithe install and what a difference. The directions were by far the best I have ever followed for an aftermarket install. After looking over everything in the box i decided to do the install my self instead of paying a Harley Dealer to do the install. Highly Rated Viton O-Ring Gasket & more! 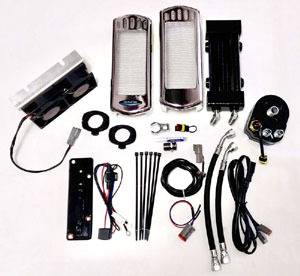 1 year OEM parts only warranty from date of purchase. 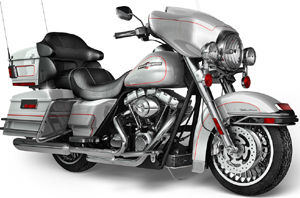 Note: does not fit Liquid-Cooled, Twin-Cooled, Milwaukee-Eight Engines. If you don't see your bike listed - email for fitment. Does not fit the Dyna Switchback. 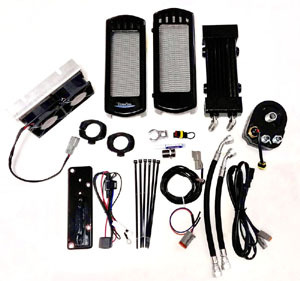 Could cause damage when installed on lowered, large front fender or tire, non-maintained or modified suspensions. UC-C: Cool weather cover for UC-1 or UC-2. 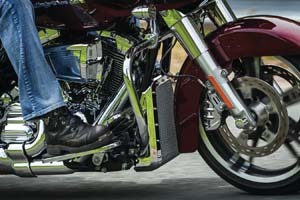 OFR-10: Independent testing by Hot Bike Magazine indicated torque gains of 8-10 ft. lb. 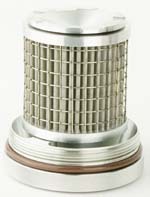 are achievable by simply using this high-flow oil filter. It works by reducing the drag that paper filter elements place on engines. 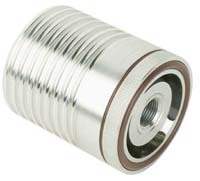 Clleanable, reusable direct spin-on replacement for OEM oil filters. Fits '84 to current. 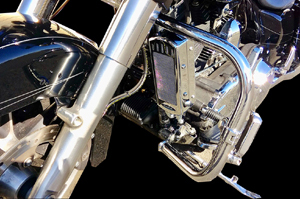 OFC-43: Our our new QUICK-CHANGE Oil Filter/Cooler for all Twin Cam Harley-Davidson Motorcycles and Sportster models 1986 - present. 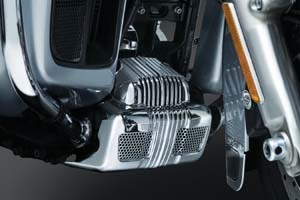 The new HD-CXS2 features: Billet machined housing installs in 15 minutes and stays permanently mounted to the engine. Easily removable end cap for quick easy filter changes. 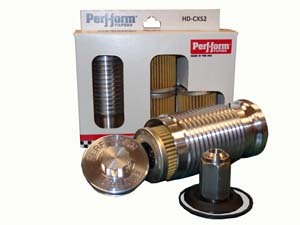 High efficiency disposable filter cartridge for easy inexpensive oil changes. Finned aluminum housing for 5-10% radiant cooling. Includes 3ea. replacement (HD-46) Oil filter cartridges. Microglass enhanced filtration provides superior small particle filtration without increased back pressure. Compatible with all synthetic motorcycle oils. 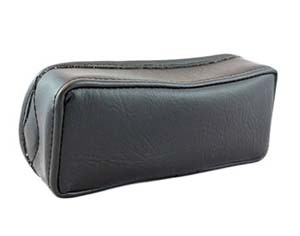 OFC-43B: Similar product but in Black finish. OFC-43G: Seal/Gasket Kit for OFC-43. Includes: One O-Ring, a X-Ring and a Back Flow Valve.